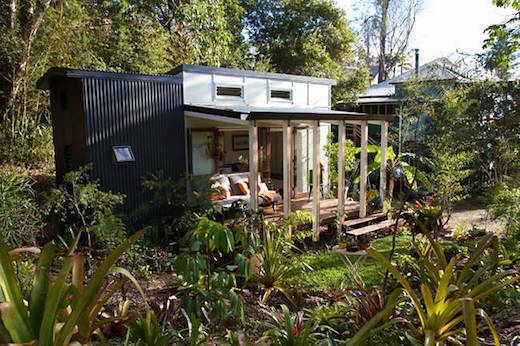 As more and more people decide to downsize to a tiny home, it has become imperative that these homes be made as cold-proof as possible. 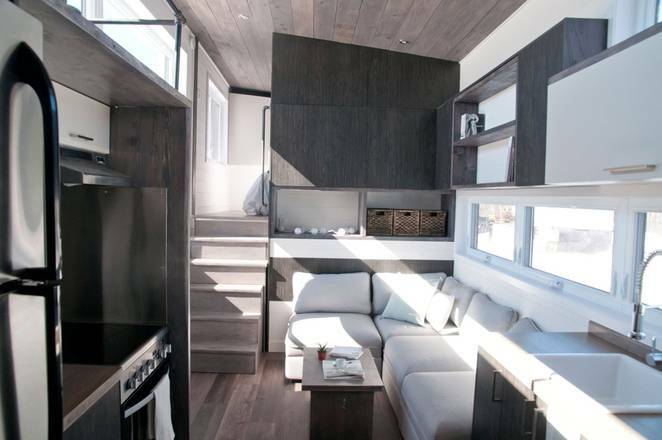 The Quebec, Canada-based firm Minimaliste recently completed this luxury tiny home for a client, which is exactly that. Apart from being very well-insulated, it also features many other comforts usually reserved for larger houses. 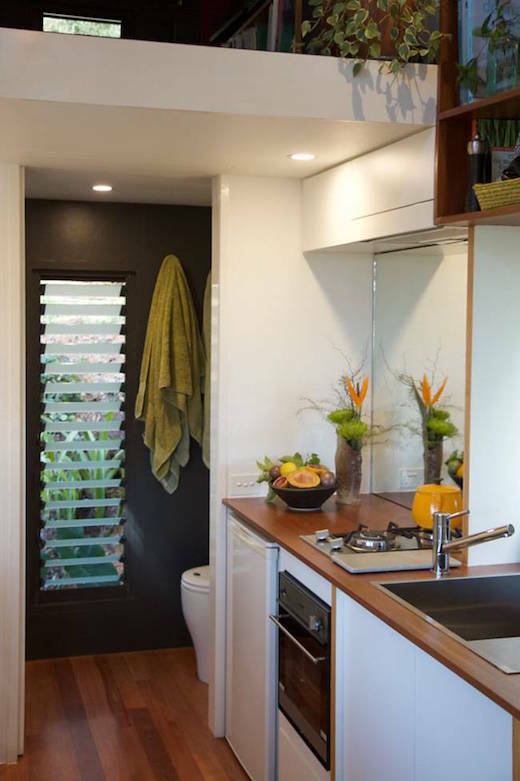 The so-called Sakura home measures 380 sq ft (35 sq m) and was built on a gooseneck trailer. 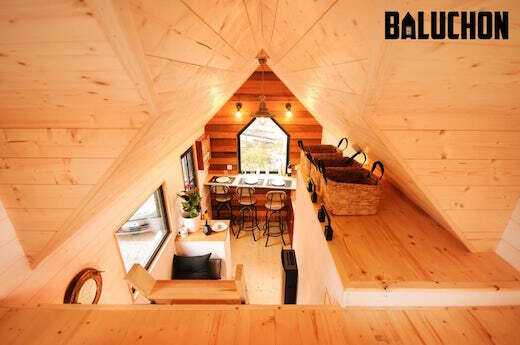 it features a living area, which can easily be converted into a dining room. 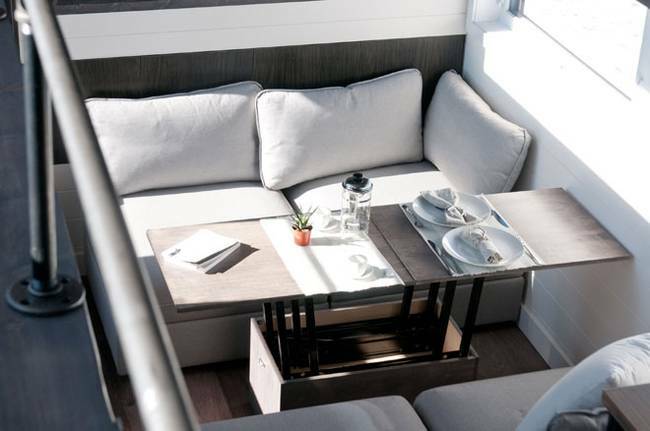 This is done with the help of modular sofa pieces that can be moved around, and a coffee table that is designed to open up into a 22 by 60 inch (56 by 152 cm) dining table, which can seat up to four people. 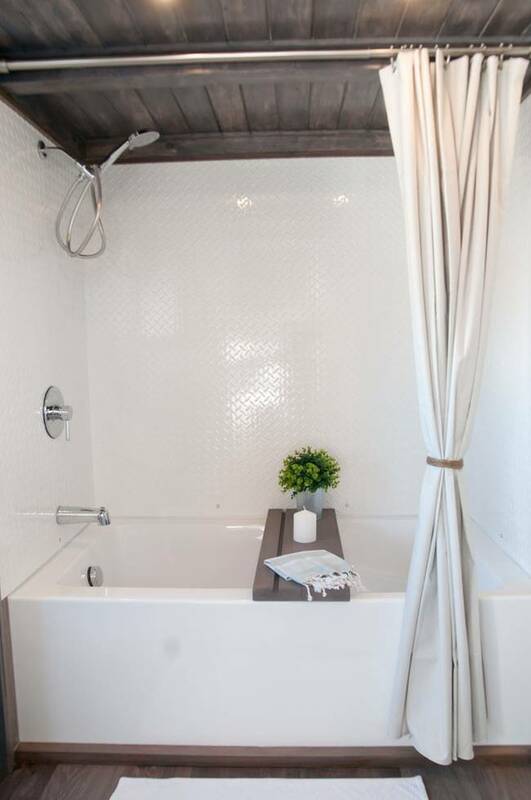 The home also features a large bedroom and a bathroom big enough for a tub. The kitchen runs along two facing walls, and is equipped with a fridge and stove. 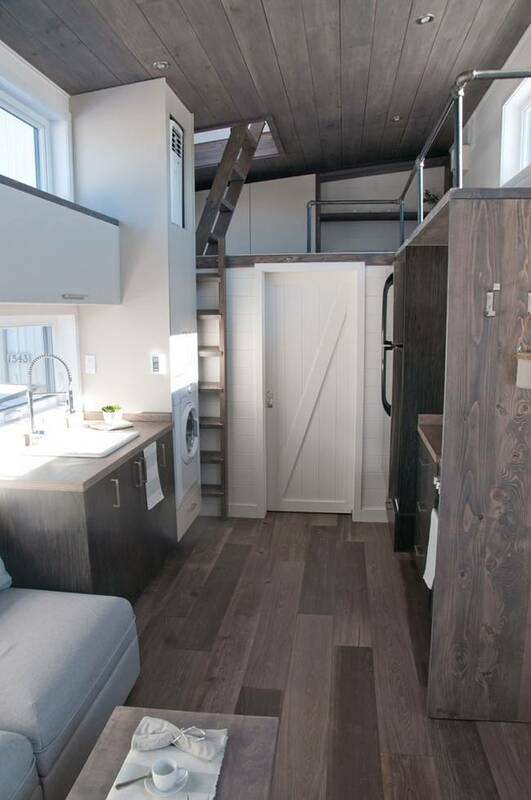 The bedroom is in a loft, which is accessible via a storage staircase. There is additional storage under the bed, and there is a lot of headroom in this area. There is also a second loft which can be used as a sort of reading nook and provides access to the cedar roof deck, through a skylight. The home is also equipped with a number of sustainable features such as a composting toilet, hydronic radiant heating in the floors, a Lunos air exchanger with a heat recovery system, and a three-level water filtration system. Water passing through this filter goes through a pressure regulator, a big sediments filter, a fine sediments filter, and lastly through a water sanitizer, so pretty much any kind of water can be filtered using it. The Sakura is a luxury home with many add-ons, so the price tag reflects that, since it cost a whopping $102,000. 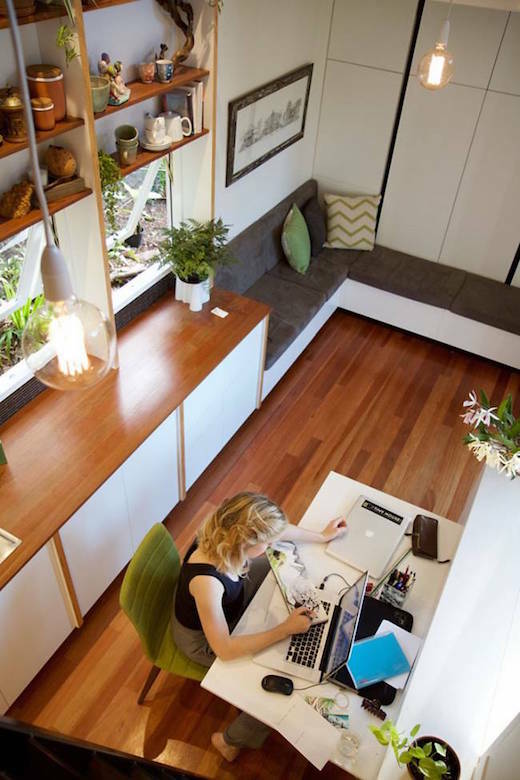 Small apartments can quickly feel very cramped, but good design and some out of the box thinking can go a long way to fixing that. 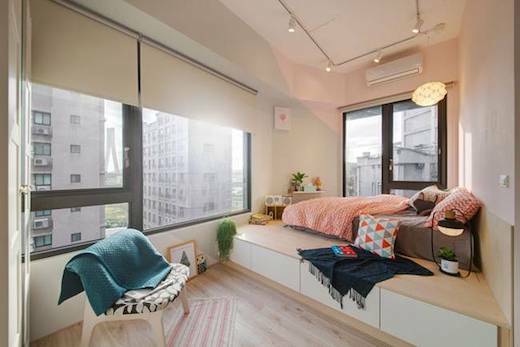 A great example of just how well is this Taipei, Taiwan apartment. Originally little more than a room, it was transformed into an open, cozy home for two by the firm A Lentil Design. 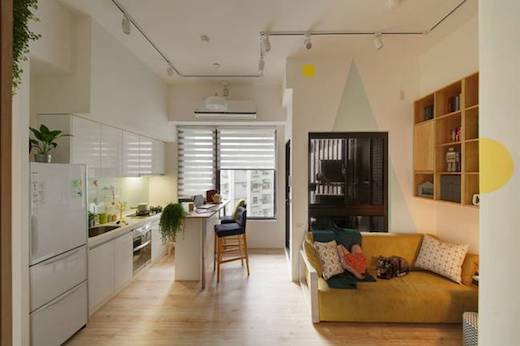 The apartment measures just 355 sq ft (33 sq m) and the first thing they took care of was knocking down some walls, to make it as open as possible. The next step was adding a loft, which houses the bedroom and really frees up the lower level space, while offering some privacy. The small apartment had two bedrooms, a bathroom, and a kitchen. They redesigned this by knocking down one of the bedroom’s walls to make a larger living room. 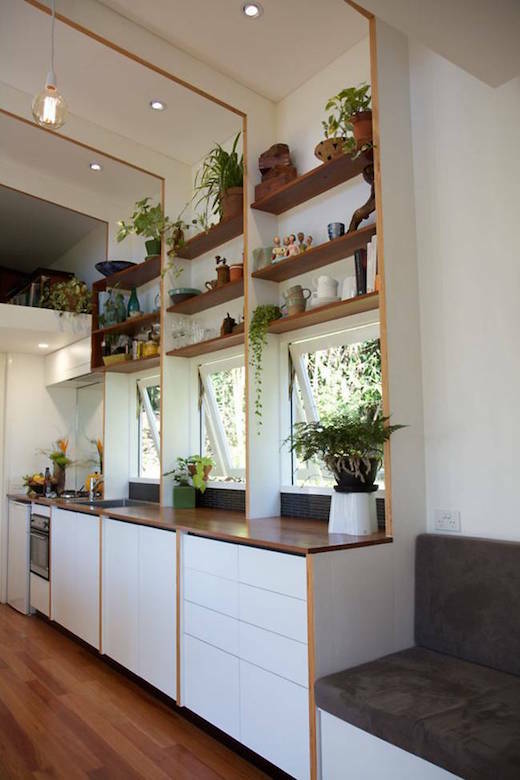 The kitchen is located on one side of the living room, and is also an open space with an island that can be used as a dining space or a working area. 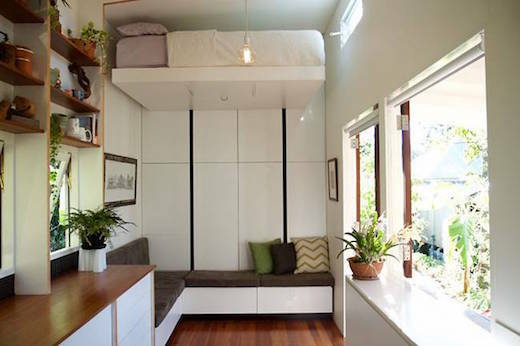 In the loft, the bed is placed atop a raised platform, which has drawers hidden underneath it for some extra storage. There is also enough room in the loft for a small sitting area, while the view of the surrounding cityscape is stunning. The loft is accessible via a staircase that serves a number of other functions as well. 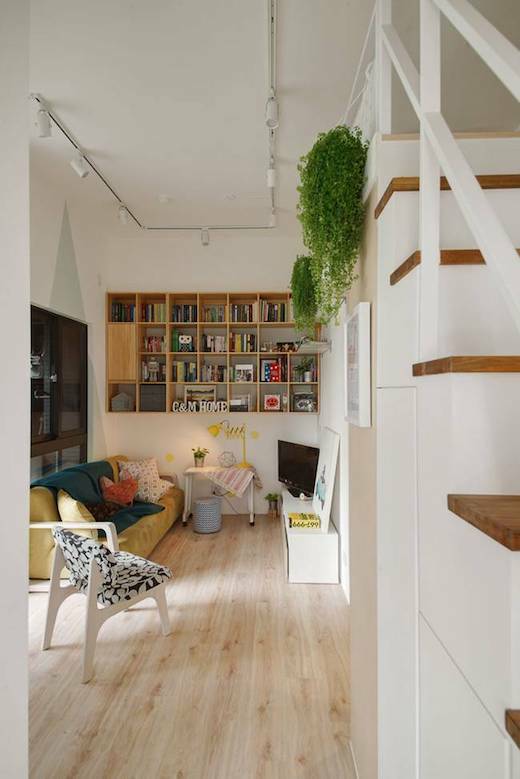 Apart from the usual storage space built into it, the staircase also serves as a separation between the entryway and the rest of the apartment. It also leads to a second loft which could be converted into a child’s bedroom if needed. For now, the occupants use it as a storage space. The bed itself rests atop an elevated platform and has drawers hidden underneath it for some extra storage. The apartment also features large windows, which let in plenty of natural light and make it appear much more spacious, while also aiding ventilation. 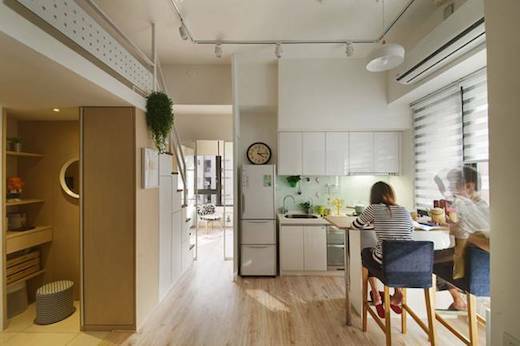 This is another great example of just how little is required to turn a tiny, cramped, old-style apartment into a cozy, modern home. 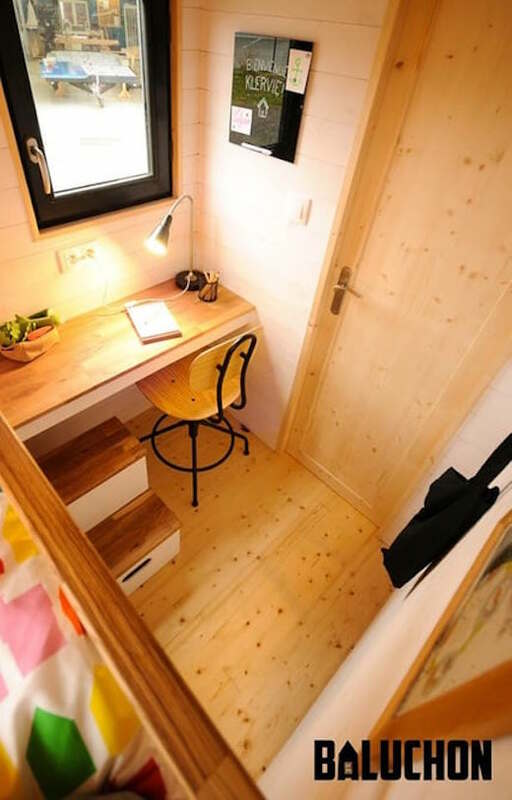 When it comes to tiny homes, most of them already do more with less, but in France the laws governing how large a towable home can be to still be roadworthy are even more stringent. 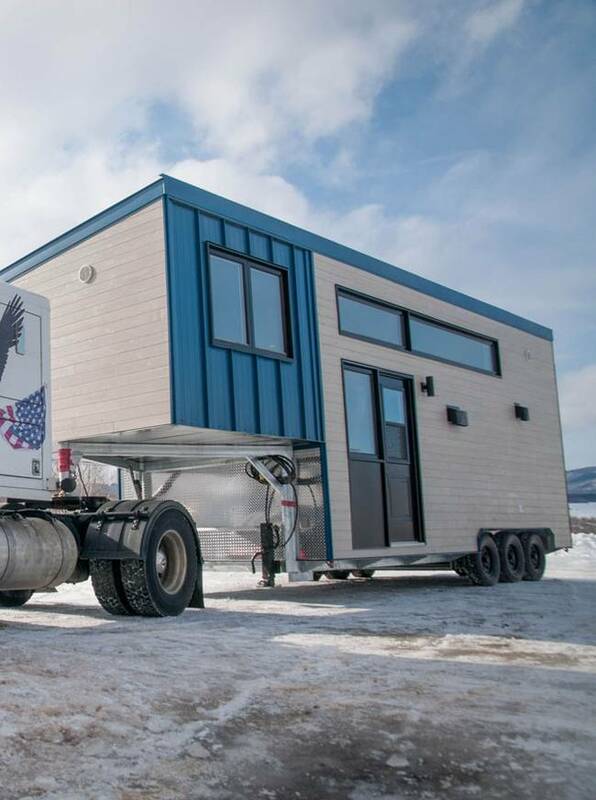 So the firm Blauchon, charged with designing this tiny home, had less to work with since the maximum dimensions of the house could only be 21 ft (6.5 m) long and 13 ft (4 m) high. They still managed to create a comfortable, permanent home for a family of three. 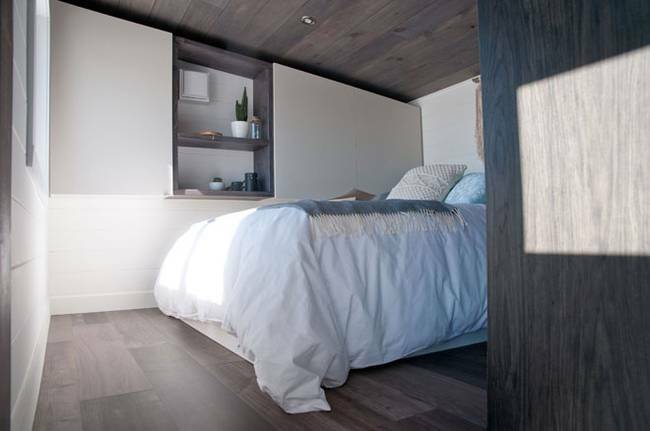 The tiny home is called Calypso, and it is clad in red cedar, with one section treated with the Japanese Shou Sugi Ban method, which seems to have been used for decorative purposes in this case, and not as a preservation method. Since the home is tiny indeed, they installed plenty of glazing to allow light to flood the interior and make it appear more spacious. 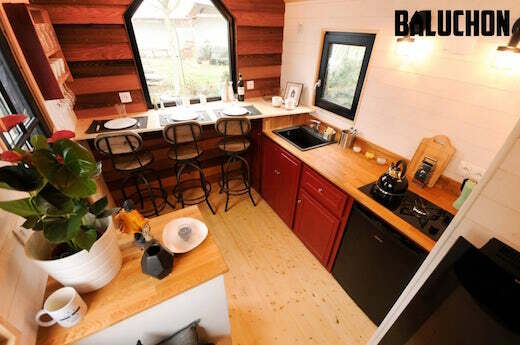 Much of the interior is taken up by the living space, which features a kitchenette, a dining area, and storage space. 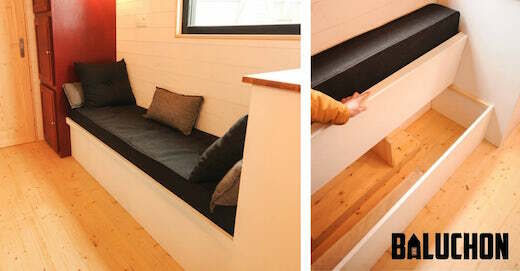 The sofa also in this space hides a good amount of storage and can also be used as a guest bed. 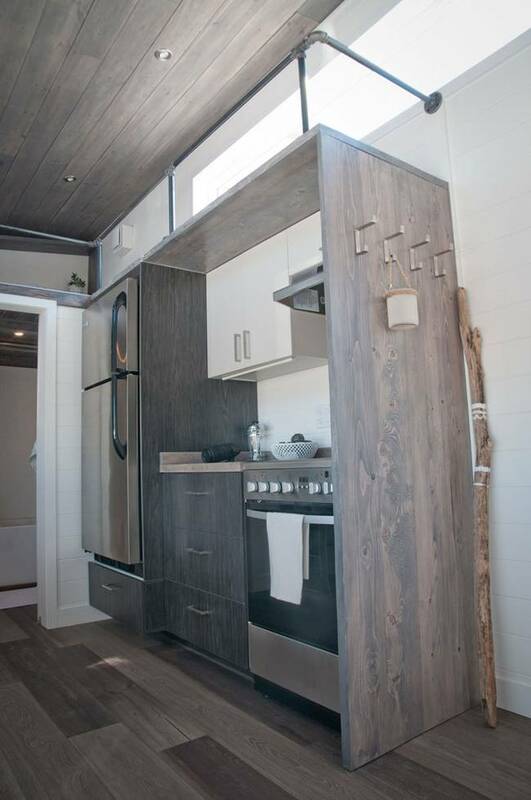 The kitchenette is fitted with a sink, stove, and fridge, and also has a breakfast bar large enough to sit three. 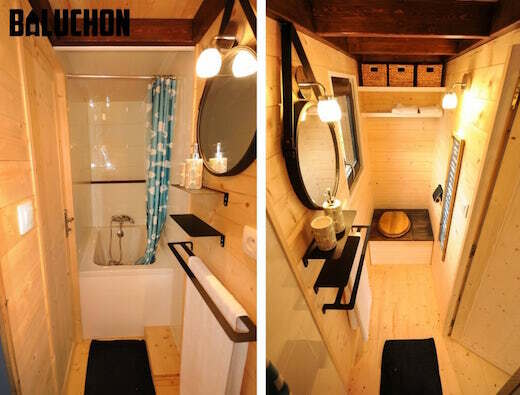 The bathroom features a composting toilet and a shower, though there is no sink to save space. The family must use the kitchen sink for washing too. The child’s bedroom is also on the ground floor, and is separated off from the rest of the home by a door. 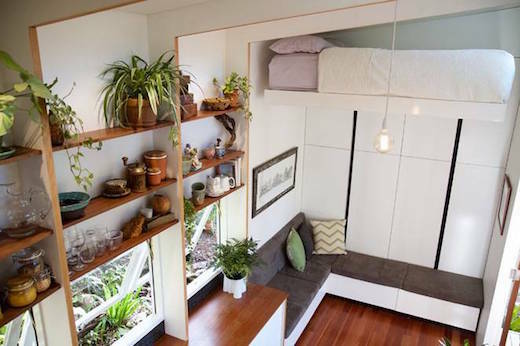 The parent’s bedroom, on the other hand, is located in a loft that’s accessible by a ladder. The kid’s room is fitted with a raised bed that has two wardrobes under it, and can be accessed by a removable staircase that also has integrated storage for toys and such. They were also able to fit a small desk into the space, so the child can do their homework. 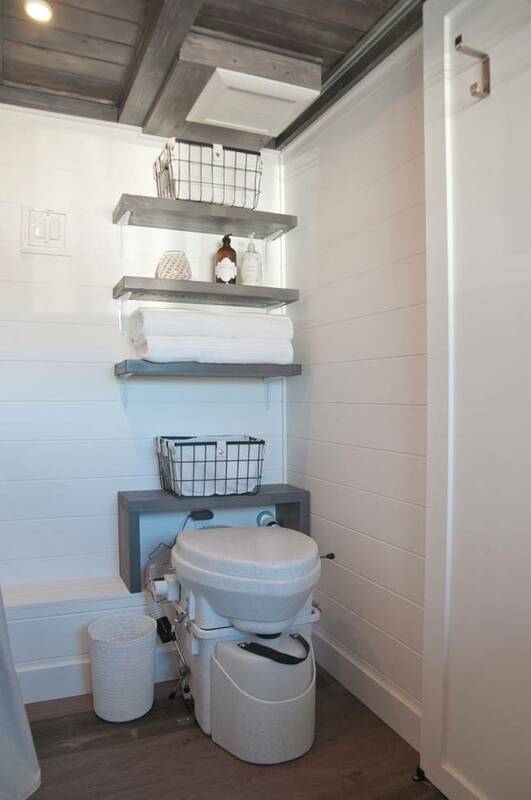 The home features standard hookups for electricity and water. For insulating the floor they used sheep’s wool, while cotton, linen and hemp was used to insulate the walls and wood fiber in the ceiling. The home features LED lighting throughout. 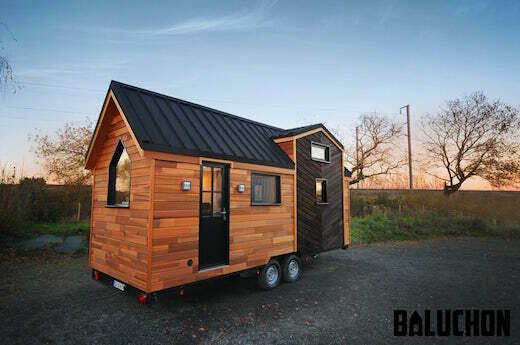 Unfortunately, there is no information as to how much this tiny house cost to build. 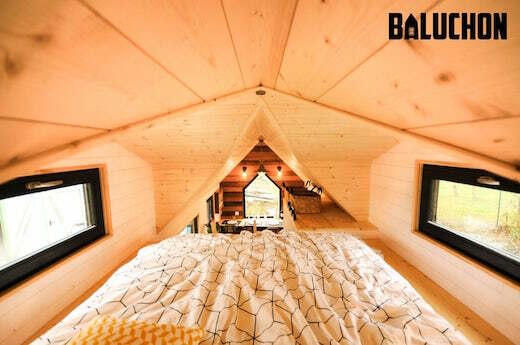 Once upon a time, treehouses were considered just a play room for kids, but lately they have been gaining popularity as vacation houses and even-full time homes. And for good reason, since it’s hard to imagine a more fun way to live then up in a tree. 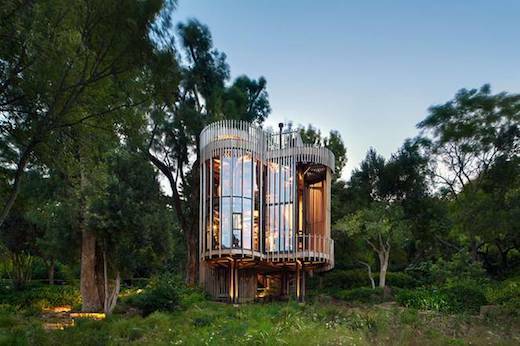 The South African architecture firm Malan Vorster have recently completed this great example of treehouse architecture. It is located in a Cape Town, South Africa suburb. The home has one bedroom, and was placed on stilts on the highest point in the clearing where it stands, in order to provide the best views. 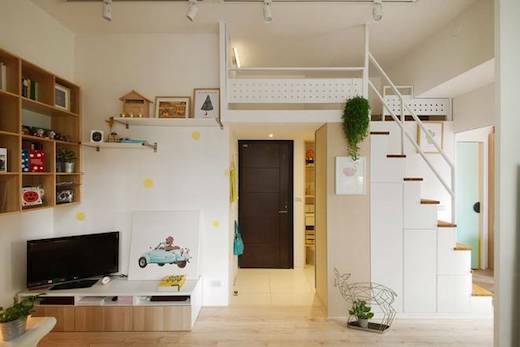 The layout of the home is quite interesting. The core of the structure is a square, while there are also a total of four semi-circular bays jutting out. The center of each of the circles features a four-part column and a circular ring out of which steel arms branch out to support the floor beams above. They used laser-cut and folded Corten steel plate for these, and they made it look a lot like a tree, in an effort to find that balance between man made things and nature. These steel arms support the timber floor beams, as well as the facade glazing and the building envelope which was made using western red cedar. Brass components were used to create the connections between the steel and the timber. They also left all the materials used in the build untreated to allow them to weather naturally just like the trees that surround the home. The contrast between the metal and wood is also quite striking, and really brings to mind the complex relationship between man and nature. 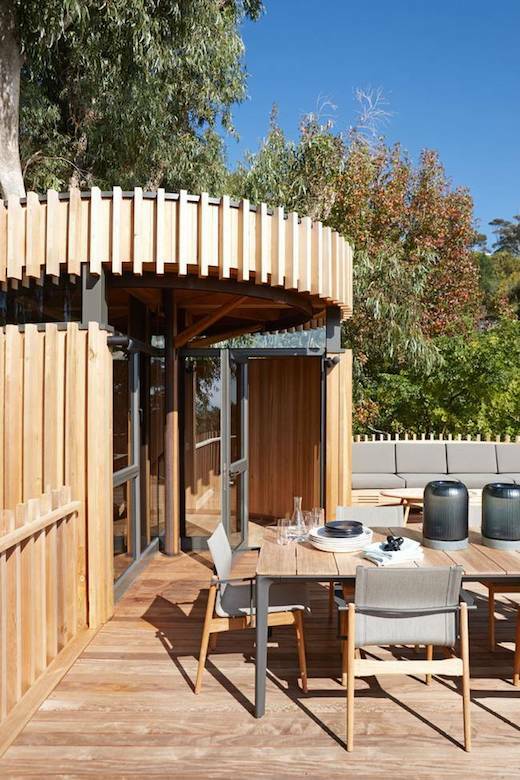 The treehouse features plenty of glazing, which allows the residents to feel like they’re part of the nature surrounding it. The contrast between the metal and wood is also quite striking, and really brings to mind the complex relationship between man and nature.